Welcome to the Live Flight Radar! Please Click the Lens in the Radar to Start Searching. flight radar is the easiest way of tracking flights. There is no reason why you should be kept in the dark about anything because we are in the age of information. Flight radar includes information on planes, take-off, landing time, flight routes and all other details relating to flying. You can get access to all the real-time information on flight tracking through flight radar; this can be achieved if you have an internet connection, a notebook or smartphone and you are set to track flights at real time on radar. What is a flight radar? In simple terms, flight radar is a flight tracker that shows real-time information about air traffic and flight movement from around the globe on a map. Radars capture all data that pertains to flight and flight movement around the world. As they pass through the air, the radar waves hit helicopters, planes, drones and other flying objects that are in their path and bounce back. It is the distance between the wave transmitter and the impact that is precisely used to locate these objects. The final result is flight radar- when the information regards the locations of these flights are placed on a map and digitized. 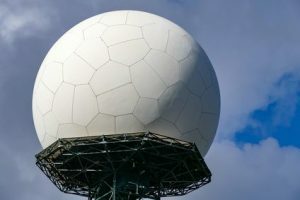 A single radar wave transmitter is not capable of detecting every flight around the world; data from radar receivers around the world can, however, be combined to have a complete image of all flight movements. It is this image that is then formatted so that all the planes that are currently in the air can be shown on just one screen. This image is uploaded to create the flight radar that is presented on our website. With flight radar, you can be able to easily track any flight at a real time. The aircraft radar provides you with all the necessary details that are necessary during file tracking. You will be to know at any time what is currently happening in the air, you can also be able to see how many kilometers an airplane has traveled and the time required for it to arrive its destination, this helps you to be able to display the speed and flight altitude in the radar. Where do the flight radar data come from? control centers and airport flight towers, making sure that the flight traffic in their areas runs properly. The radar system was also used by members of the military who were responsible for conducting air traffic. traffic controllers make the data available. Over the years, there has been an emergence of the internet in every household and pockets, users who are tech-savvy have begun making information/data about flight traffic available to the general public. It is these efforts that have produced a variety of radar applications. These applications make data available irrespective of where you are in the world, all you require is just an internet connection alongside a smartphone or PC. Who is flight radar useful to? The points above are just a few instances of the users of plane trackers. How does flight radar work? To be able to use the flight radar, you need the map section that is incorporated in our site. This map will display information about flight and their movements around your immediate vicinity. What you need to do is to click one of the little icons to pull up further details about a particular flight. You will get to see information about the type of aircraft, the departure city, destination city, etc. using the plane finder is incredibly easy, you can also see a colored line which displays the flight process on the animated map. Alternatively, for a user to look up for information about a specific flight, all that a user has to do is to type the flight number in the search field and proceed by clicking the enter. The map section jumps to the region where the plane is currently located, and it also displays specific details ( departure airport, progress, type of aircraft, destination airport, etc.) about the flight. Flight tracking on flight tracker is completely free. Where ever you are located, you can have access to practical information about each flight and movements. You will get to save your money because, with flight radar, you are always free and can track any plane whenever you want. The readings are from Radarbox24.com | Flight-Tracker24.co.uk is not responsible for the correctness of the data.